This section covers articles, source code samples, tutorials, links, and other resources related to MariaDB. The MariaDB Corporation has today released MariaDB TX 3.0, a new version that is equipped with enterprise-level features and functionality and is capable of replacing costly enterprise databases. MariaDB Announces Major new version of MariaDB MaxScale . 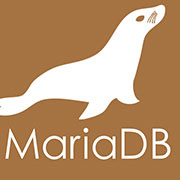 MariaDB Corporation launched the new version of its popular open source database. MariaDB® Corporation, the recognized leader in open-source databases, announced the upcoming release of its big data analytics engine, MariaDB ColumnStore. MariaDB Corporation announced today the spring 2016 release of MariaDB Enterprise.